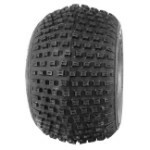 CST tires are a relatively new brand name that many customers haven't heard of. The reality is CST tires have been around for as long as anybody but they used to go by the name of Cheng Shin Tires. 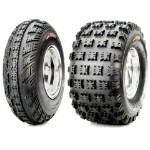 CST is just an acronym for Cheng Shin Tires. 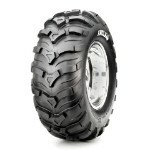 Cheng Shin Tires is a huge company that makes tires and tubes for all types of vehicles. 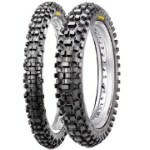 In fact, you may have heard of the Bighorn tires by Maxxis? Those are actually made by CST. 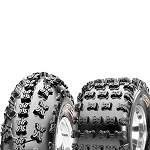 CST owns Maxxis and makes all of their tires, they are just branded Maxxis. Is similar to the relationship between Chevy and GMC. Both are owned by the same company, they are just branded different. 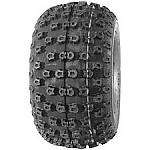 CST makes affordable tire options for all types of ATV's and Side x Sides. 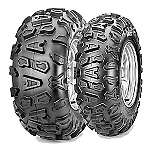 When they started out making ATV tires they made a great name for themselves with the Ambush, Ancla and Abuzz tires. Since then they have expanded their product line with the release of the new Sludgehammer, Lobo, Wild Thang, Clincher, Behemoth, & Stag tires. 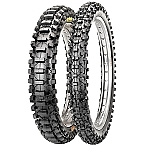 If you are looking for a very good quality tire with a reasonable price tag you should consider the Cheng Shin tire line.